As you all know, I have been into refinishing wood and wicker furniture. Over the weekend, I was able to go over to my friend's house and show her how easy it is to refinish wood furniture. 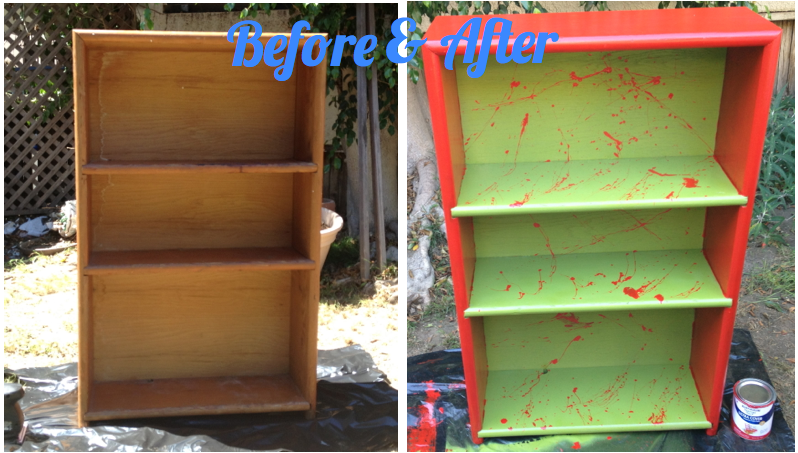 Her bookshelf was in good condition, but it had nicks and stains - all it needed was a little sanding and painting! The colors of her apartment are tan, red, and green. Very natural and neutral. This red bookshelf really pops and it is a wonderful example of what you can do to your existing furniture to give it a new look! After we were done, we headed back into her apartment and I could see her imagining other pieces in her place being refinished. I am so excited to see what she wants to revamp next!! The view while painting. It was a beautiful day! This is the red we used. 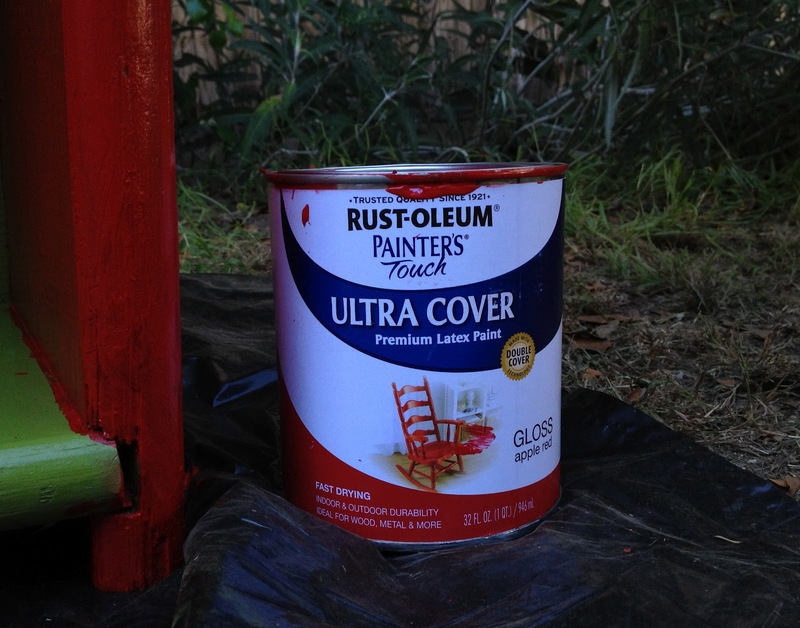 For the green, we used Ultra Cover Spray Paint from Rust-Oleum in Sage in a Satin Finish.